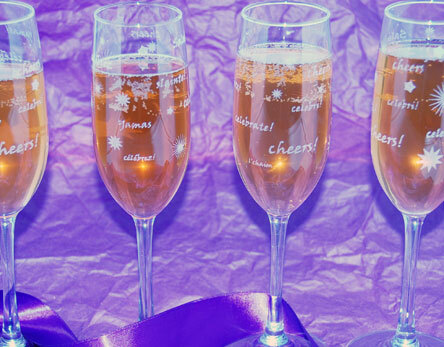 Whether you're celebrating the holiday season or other happy occasion, these laser engraved champagne flutes add a touch of fun and festivity to any celebration. 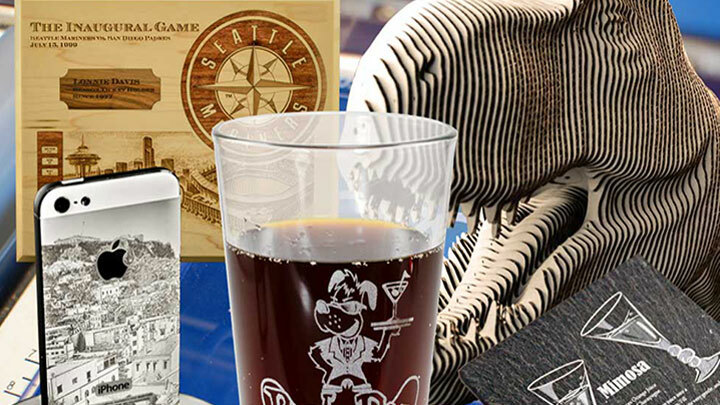 From mugs to wine glasses to champagne bottles and beyond, laser engraved customized glassware is a gift item that's in high demand. Adorned with "celebrate" and "cheers" in various languages, these customized champagne flutes are an ideal way to enhance any party or gathering. 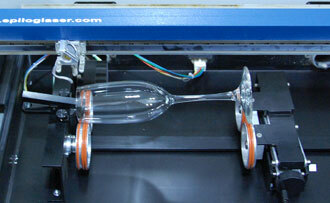 Read on to learn how to laser enHowgrave customized champagne flutes for your customers! Champagne flutes - any brand will do, ours were made by Libbey. We used a 50-watt Helix with the following settings: 40% speed, 100% power, 400 dpi. Place the glass on the rotary device and clip it into place. 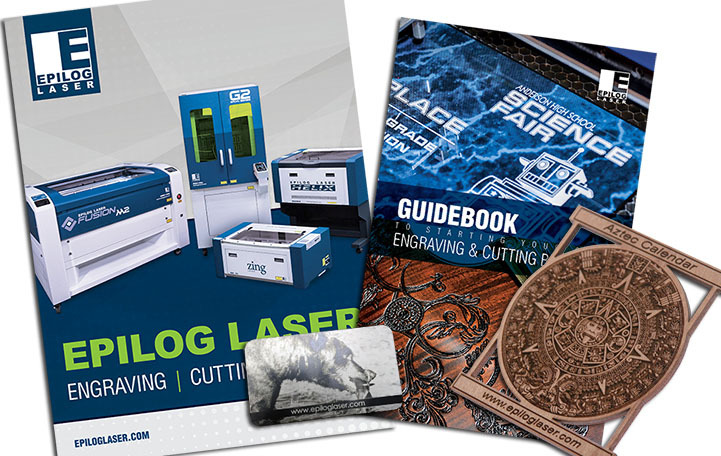 Since your flute may be different than the ones we selected, draw a vector box around the design to ensure it wraps adequately around your selection and engraves in your desired location. Turn on the red dot pointer and send only the vector design to the laser and run it with the lid open to ensure proper placement. *After you're satisfied with the position of your design, you have the option of coating your champagne flute with a thin layer of dish washing detergent. 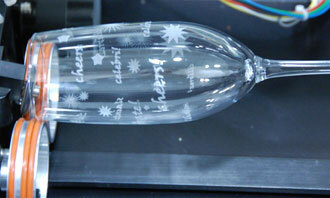 Some users prefer this method when laser engraving glassware because it can dissipate heat and reduce the instance of cracking. We opted to skip this step for this sample and our flutes engraved beautifully. 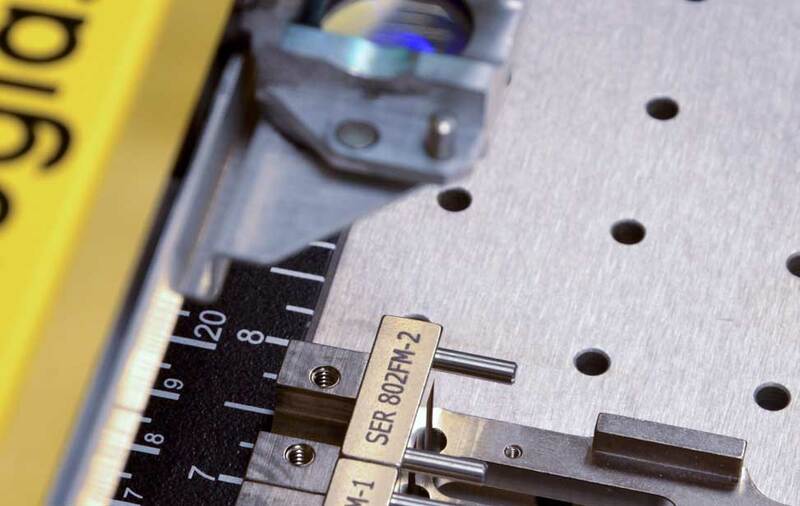 When the flute has been engraved simply remove it from the rotary and you're all set - three easy steps and you now know how to laser engrave champagne flutes for any occasion.